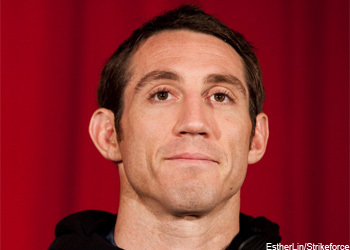 Now that Tim Kennedy (pictured) has been assigned a new opponent for “UFC Fight for the Troops 3,” the 13-bout lineup for the November 6 show has been finalized. Kennedy was initially slated to headline the show opposite Lyoto Machida, but “The Dragon” was recently promoted to a match against Mark Munoz at UFC Fight Night 30 instead. Michael Bisping, Munoz’s original nemesis, was forced out of their tango with an eye issue. Kennedy now fights Brazilian Rafael Natal. The UFC’s Facebook will kick things off by streaming the night’s first four scraps live starting at 3:15PM ET/12:15PM PT. Fox Sports 1 will then handle everything from there. The network airs the remaining four prelims at 5PM ET/2PM PT and the main card at 7PM ET/4PM PT. Fort Campbell, Kentucky hosts the festivities.